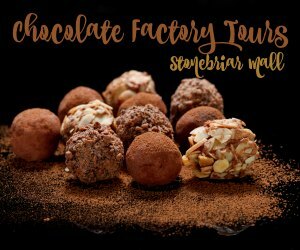 We're sorry, we are not aware of any actual chocolate tours. Create Your Own Ad in Minutes--Free! Are you a DIYer? If you're a business owner, you probably are! This link will set you free from settling for ads that you don't like. Within minutes, you can take control of your advertising through building your own ads. If you've ever edited a photo, you can do this! Click here or on the image to the right to learn more of what you can do. Just Want to Hire it Done? No Problem! If you need help with your ad creation, we can do it for you. (Review our sample ads on our Advanced Skills page. If you have not yet submitted a Customer Information Form, please click here to begin the process. If you have submitted a Customer Information Form, but have not yet submitted your ad, you may send your completed ad to info@collincountyguide.com in correct pixel dimensions up to seven days prior to your ad run date.